The village needed to be completely restored a process that was to take 4 years. 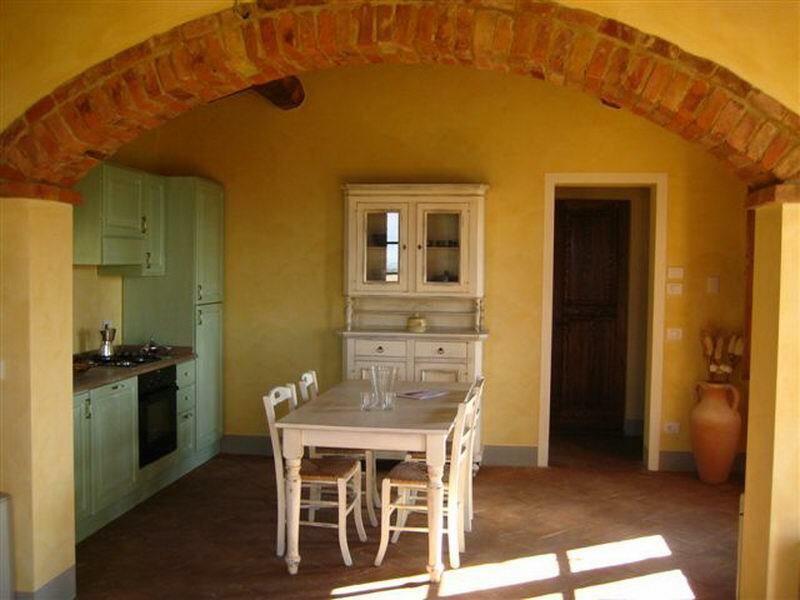 It was meticulously restored by skilled artisants to the highest of specifications employing traditional tuscan materials of stone, terracotta and wood. 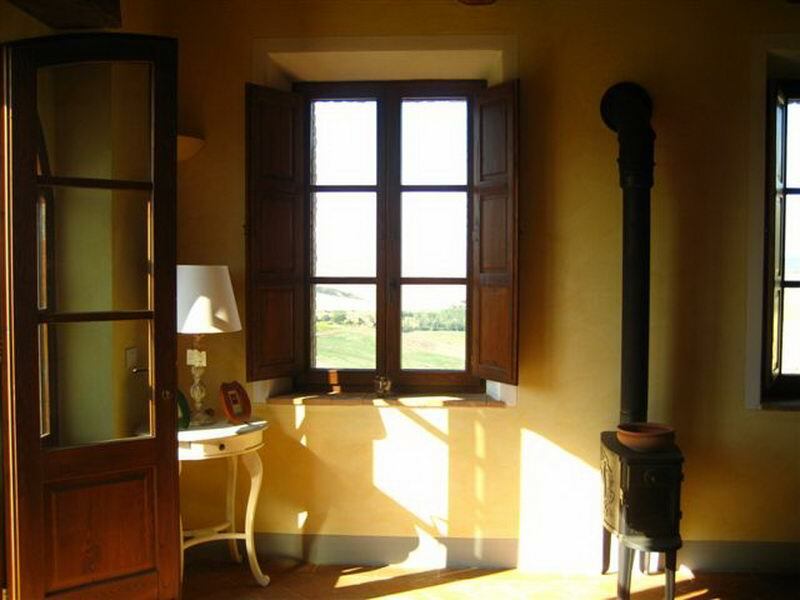 The farm is between the hills of Montisi and San Giovanni d'Asso. The village needed to be completely restored a process that was to take 4 years. 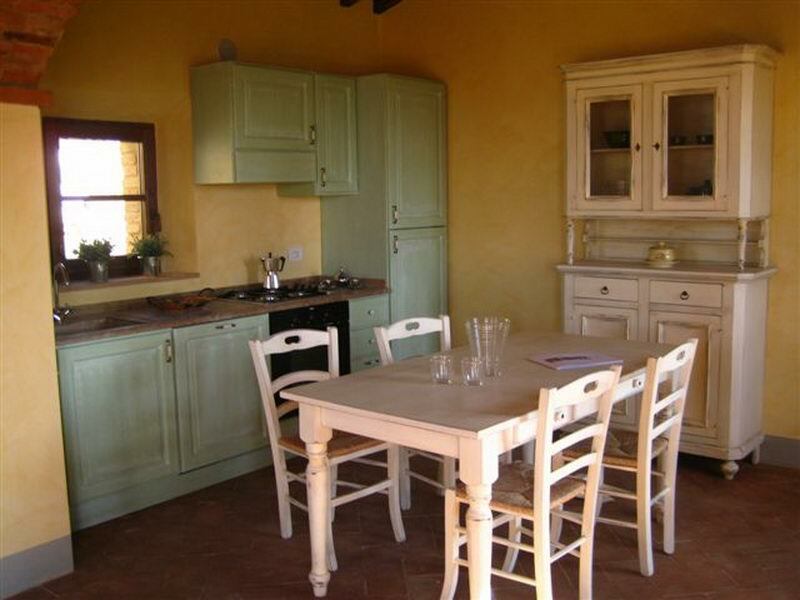 It was meticulously restored by skilled artisants to the highest of specifications employing traditional tuscan materials of stone, terracotta and wood. The beautiful interiors combine traditional architecture with stylish contemporary living, surrounded by private gardens and pergolas, courtyards and swimming pools. It is now for the first time in over 100 yeards read to accept guests in 2009. 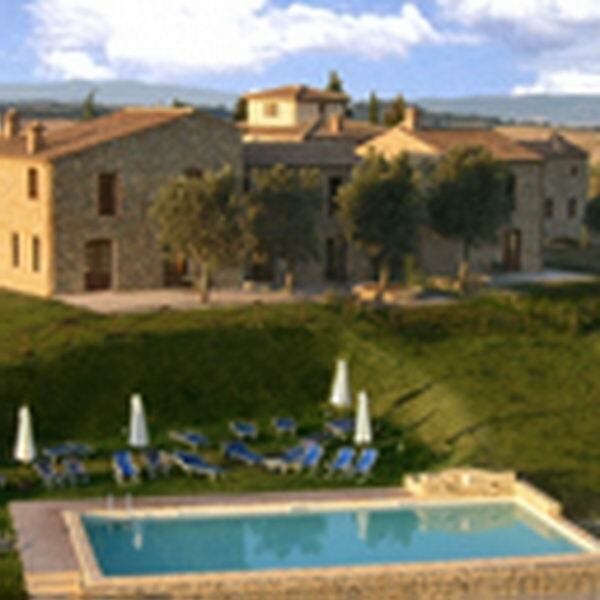 Relax in swimming pool and enjoy the sunset over the tuscan landspace. Close by the hot springs of Rapolano. The property offers 9 apartments (that share a big pool), and one indipendent villa with private pool. Ap. nr. 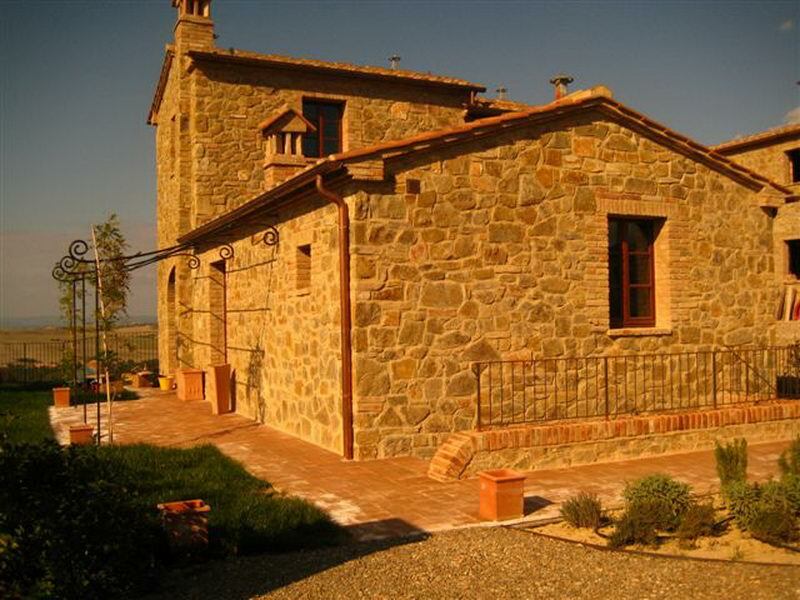 1001 Casa di sopra – 120 sm (garden 157 sm) 4+ 2 persons – it is an elegant two-storey house. The interior is made up of a spacious living/dining area with double sofa bed on the ground floor area leading onto a pergola for dining at the fresh air,with 2 bedrooms and 2 bathrooms. Private garden. Ap. nr. 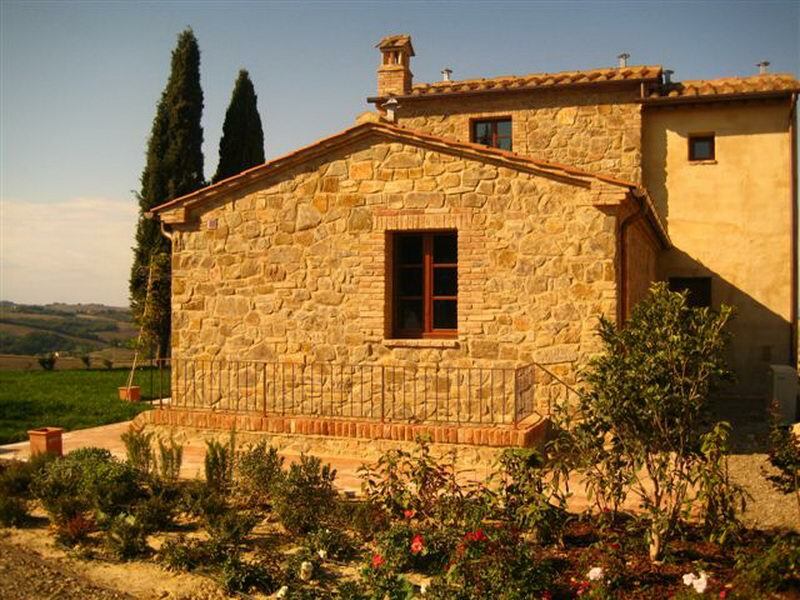 1003 Casa di sotto – 140 sm (garden 1000 sm) 6+2 persons – It is a splendid 3-bedroom house. The interior is made up of a spacious living/dining area with double sofa bed. Ap. nr. 1004 Casa Marta – 120 sm (garden 360 sm. Cellar 60 sm) 4+2 persons – The interior is made up of 2 bedrooms e 2 bathrooms, the town house with a spacious living/dining area leading onto a viewing balcony and upper garden with a pergola. The guest apartment located on the lower level has its own indipendent acces and terrace garden area. Ap. nr. 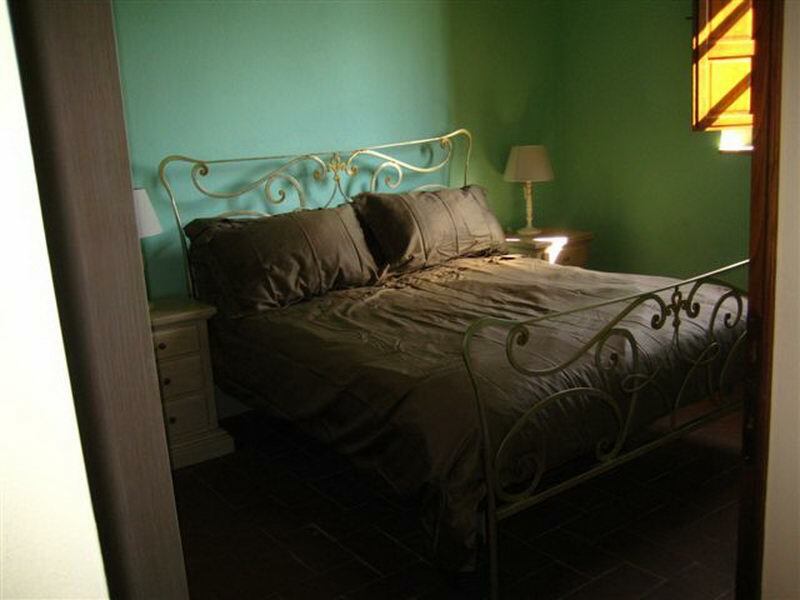 1005 Casa Beppe – 120 sm (garden 480 sm) 4+2 persons – It is a characteristic 2-bedroom house. The interior is made up of a spacious living/dining area complete that effortressly leads onto the pergola area. 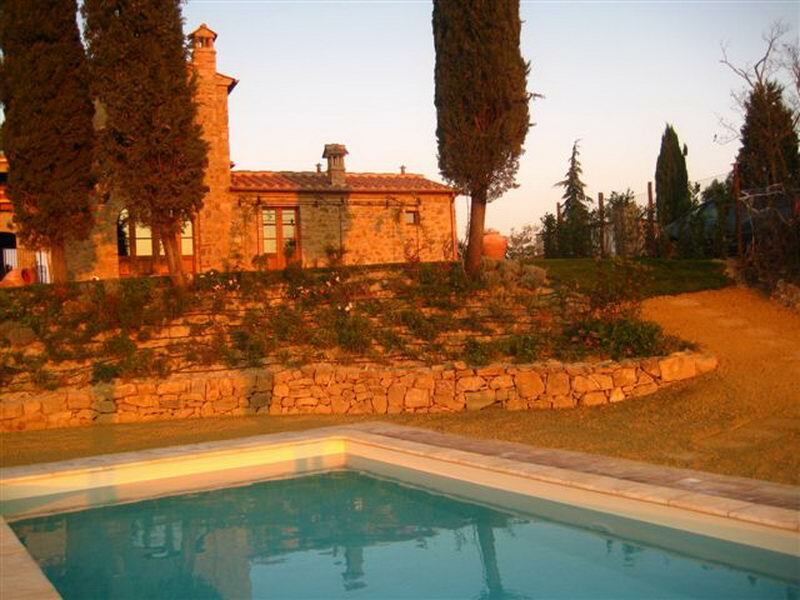 Caso beppe also ha a large wine cellar, private garden and is ideally located with its proximity to the communal pool. Ap. nr. 1006 Casa Gisella – 120 sm (garden 94 sm) 4+2 persons – It is a characteristic 2-bedroom house. The interior is made up of a spacious living/dining area that effortressly leads onto the pergola area. A large wine cellar and proximity of the communal pool makes this apartment very charming. Ap. nr. 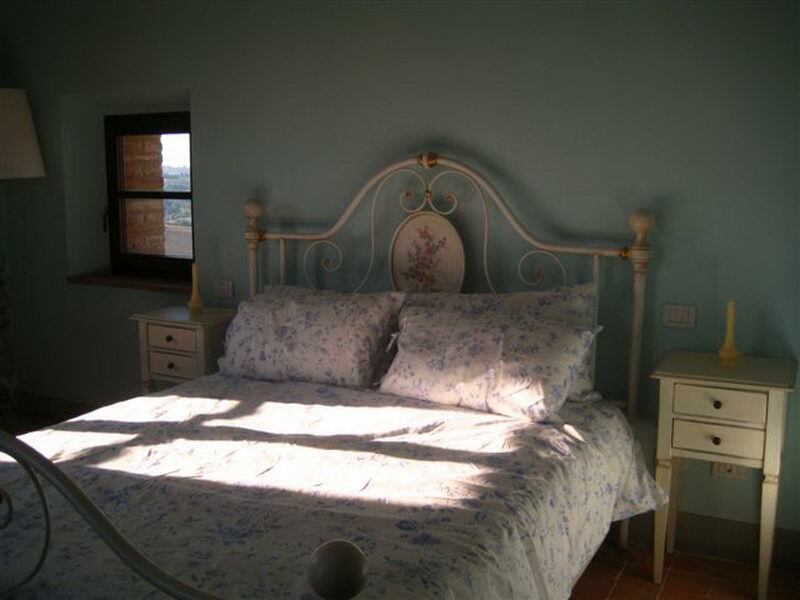 1007 Casa Caterina – 126 sm (garden 537 sm, cellar 60 sm) 4+2 persons - It is a characteristic 2-bedroom house. The interior is made up of a spacious living/dining area complete with traditional fireplace that effortressly leads onto the pergola area. In addition to the 2 larege bedrooms the house has its own large wine cellar and garden as well as an exclusive courtyard with its characteristic arches. Ap. nr. 1008 Ampella – 120 sm (garden 389 sm) 6+2 persons – It is a 3-bedroom house and part of the noble villa. The villa is accessed from the central courtyard with its interior composed of 3 bedrooms, a large living/dining area that effortressly leads onto the pergola area. Ap. nr. 1009 Ampella la Torre – 143 sm (garden 433 sm) 6+2 persons – It is a 3-bedroom portion of a noble villa. The villa is accessed from the central courtard with its interior composed of a spacious living/dining area complete with traditional fireplace that effortressly leads onto the pergola area. In addition to the 2 generous bedrooms, the lower bedroom boasts unique and unsurpassed views. 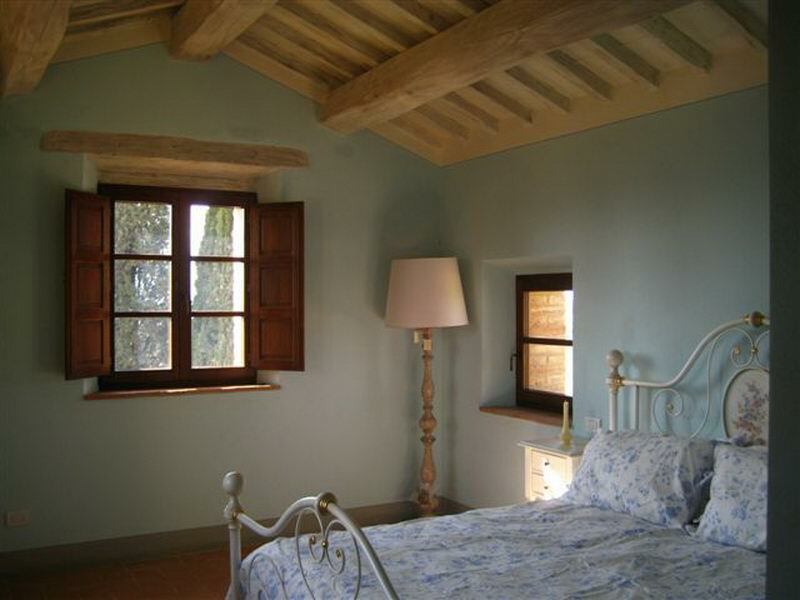 1010 – Villa Montisi – 130 sm (garden 2000 sm) 6+2 persons – It is a charming single storrey rustic. The interior is made up of a spacious living/dining area leading onto a pergola, wuth up to 3 bedrooms and 3 bathrooms. The villa has its own indipendent access, private pool and a large garden. Services: seimming pool, barden, bycicle, internet connession, TV, free parking. Exit from the A1 motorway at Valdichiana Bettole. Take the freeway Siena-Bettole E78 in direction of Siena. Exit at Sinalunga and follow for Trequanda. Once you reach the village of Trequanda follow for Montisi, drive trough the village of Montisi and take the SP14 in direction of San Giovanni d'Asso. After about 4 km on your right (2 km before reaching San Giovanni d'Asso) you will find the farm. The prices are in Euro and based on a one week's stay. Number Period “A” Period “B” Period “C” Period "D"
Electricity, air conditioning and heating cost are not included in the prices and it is calculated by metrage used.